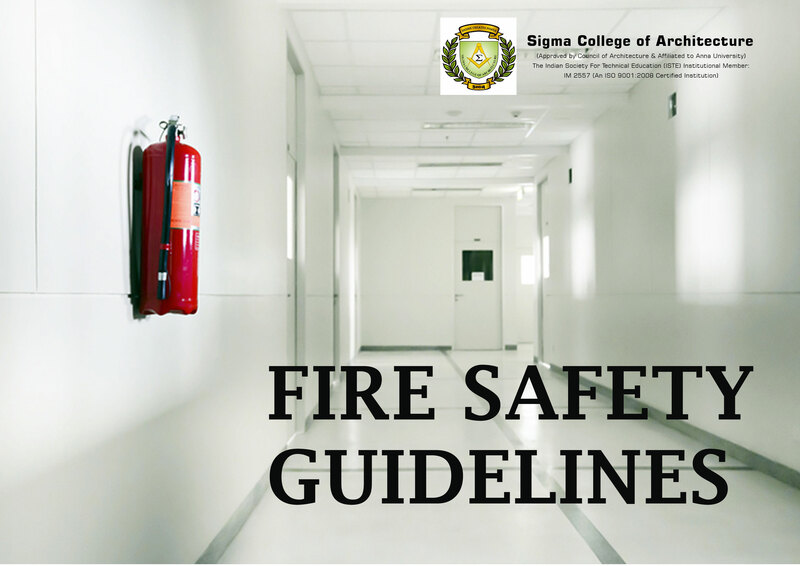 In today’s edition let us discuss on some basic safety guidelines that every Architect must keep in mind in the event that a fire breaks out in a residential building. • One must ensure to provide fire alarms and sprinklers in the ceiling in a grid pattern such that every area of the building gets responded in case there is any variation in the temperature and they should automatically get switched ON. • Three types of fire extinguishable products should be placed – the standard fire extinguisher, sand bucket and the fire hose. They should be placed at periodic distances from each other and must be accessible to everyone on the particular floor and must be placed on every floor of the building. • You must provide a fire exit and a fire door which offers a bit more resistance against the fire, thereby keeping the people in the stair case safe till then can successfully evacuate. Here at Sigma College of Architecture, one of the Top Architectural Colleges in South India we ensure to incorporate all these basics into our curriculum.